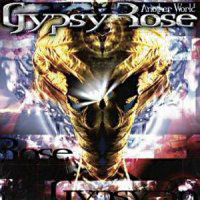 The name Gypsy Rose, and the cover artwork first made me think this was some kind of blues/hardrock/metal album like Brand New Sin or maybe Whitesnake. I haven’t heard the bands first album from 2005, so I was quite puzzled when the music started floating from the speakers – Damn, this is melodic AOR or hardrock, maybe with a slight touch of metal. With the first surprise (and for me disappointment, I’m not at all into AOR) clearing off, I decided to set my expectations aside, and for the best of my ability judge the album for its content, on its own terms. The production is powerful and clear, with a broad and pumped sound – just fine for this kinda stuff – good work! All in all a very professionally done album, and for fans of the genre surely something to check out and maybe adding to your collection of melodic hardrock.